1. 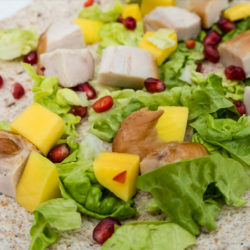 Chop the smoked chicken and the mango into 1cm cubes and set aside. 2. Lay the wraps flat on plates and scatter with torn little gem lettuce leaves. 3. 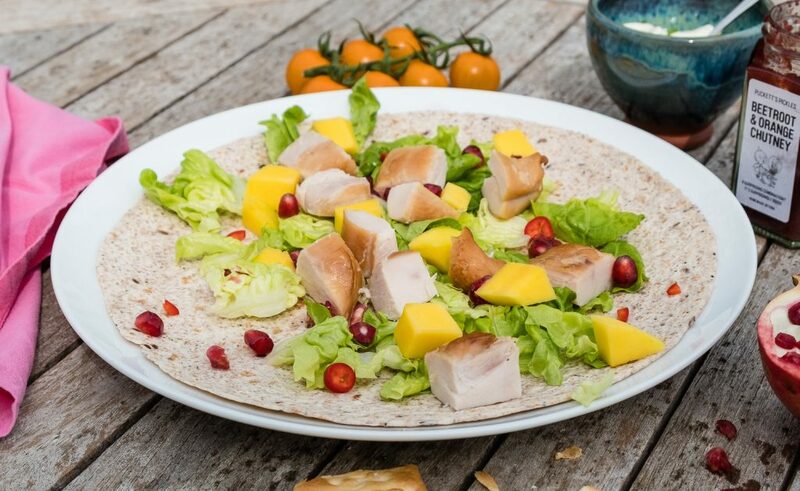 Scatter the smoked chicken and mango pieces over the lettuce, and add the finely chopped to your preference. 4. Hold the half pomegranate face down over the wrap and bash it gently with a rolling pin or wooden spoon – seeds should fall out onto the wrap. 5. Gently roll the wrap and tuck in!